Among the items funded by the MBTA in the coming fiscal year is work on extending service by Green Line trolleys to Somerville and Medford. Massachusetts Bay Transportation Authority leaders hope to spend $1.05 billion this next fiscal year to upgrade aging vehicles and stations and continue expanding the system, according to a plan proposed on Tuesday to the board that oversees the transit agency. The proposed one-year budget includes a new “winter resiliency plan” advanced by Governor Charlie Baker, and funding for the long-awaited Green Line extension into Medford and Somerville. But it also leaves out large amounts of money for projects the previous administration had pushed, such as self-propelled trains that would run on commuter rail tracks. Transportation Secretary Stephanie Pollack on Tuesday signaled that officials would reevaluate expansion projects to make sure they fit in with the administration’s priorities. Pollack also said the proposed budget did not fully reflect the administration’s transportation priorities. Because so much of the agency’s capital dollars are already dedicated to contracts that were executed or planned under the last governor, the current administration did not have that much flexibility in pushing major priorities, she said. The rail operator is struggling to provide trains that run on time and with the necessary number of seats. The capital plan is separate from the T’s operating budget, which includes expenses such as employee wages. Every year, the T releases a five-year capital plan that lays out major investments in its infrastructure, such as buying new trains and buses or upgrading stations. Pollack said the administration released a one-year budget this time because officials wanted more time to reevaluate their transportation priorities. A five-year plan will be coming later this year, she said. “We need more time and more data and more input from the public before we’re ready to do a five-year plan,” she said. The proposed $1.05 billion budget for such upgrades represents a sharp jump from this year, when the T is expected to spend slightly less than $700 million on such projects. Pollack said it was an “aggressive” increase, but she said she believed the T would be able to spend all the funds by the end of the coming fiscal year. The plan proposed on Tuesday includes funding for the $83.7 million “winter resiliency plan.” This includes a proposal, announced by Baker last week, to invest about $12.7 million next year into upgrades for the Red and Orange Line’s tracks, including the heaters for the third rail. 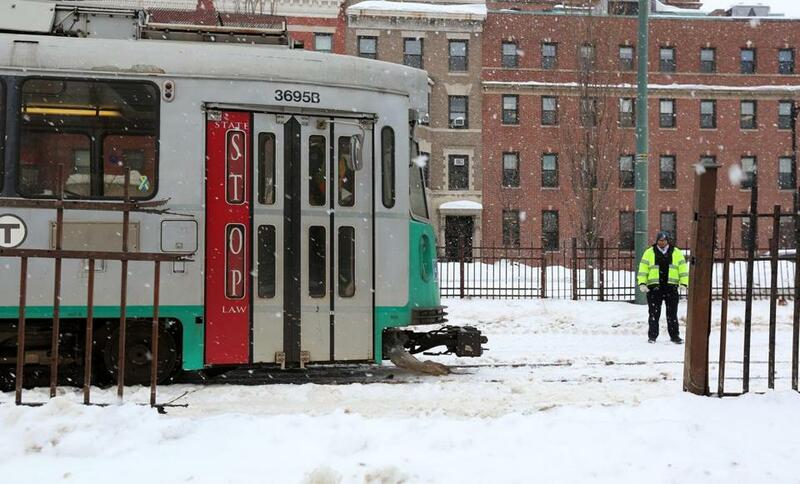 “We want to make sure our track, our vehicles, and staff are ready to take on next winter,” Frank DePaola, the interim general manager of the T, told the Massachusetts Department of Transportation board of directors on Tuesday. The proposed capital spending plan for the T also includes investments in several large expansion projects. 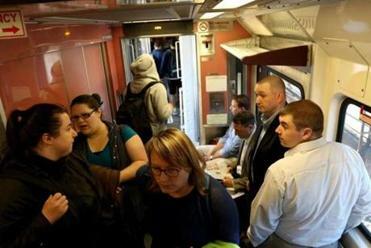 The administration has included money for the Green Line extension into Medford and Somerville, as well as a project to extend the commuter rail to the south coast of Massachusetts. T officials also want to invest in positive train control, a form of technology that would help prevent crashes on commuter rail trains. The technology was thrust into the spotlight after the deadly Amtrak crash in Philadelphia earlier this year. Some train experts believe positive train control could have helped prevent the derailment. But the vast majority of the capital dollars will go into projects that update and upgrade existing infrastructure. These “state of good repair” projects are meant to ensure that the T is operating a modernized and reliable fleet of vehicles. During the next fiscal year, officials are hoping to spend about $679 million on such projects. After a series of snowstorms walloped the T this winter, officials revealed they would need to spend at least $6.7 billion to fully upgrade the system. The board also reviewed the $2.5 billion capital plan for the state Department of Transportation on Tuesday. The board oversees the capital plans of both MassDOT and the T. The two plans include some overlap: The agency’s capital plan funds a number of MBTA projects, such as the extension of the Green Line into Medford and Somerville. The public is invited to comment on the plans at 10 meetings that will be held throughout the state.